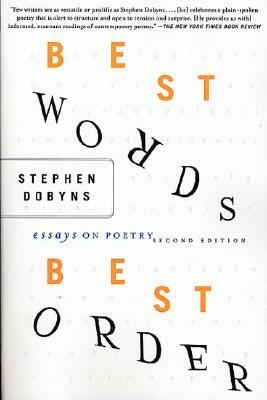 In this new edition of "Best Words, Best Order," Stephen Dobyns further explains the mystery of the poet's work. Through essays on memory and metaphor, pacing, and the intricacies of voice and tone, and thoughtful appreciations of Chekhov, Ritsos, Mandelstam, and Rilke, Dobyns guides readers and writers through poetry's mysterious twilight communiques. For this new second edition, Dobyns has added two new essays, one dealing with the idea of "beauty" in poetry and another dealing with the almost mystical way poets connect seemingly disparate elements in a single work.